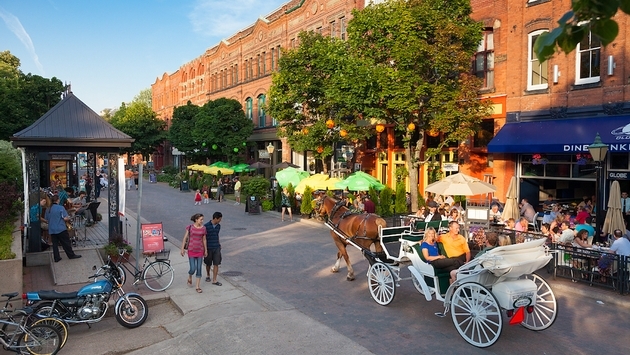 Canada’s Prince Edward Island will commemorate this year’s 150th anniversary of the 1864 Charlotte Conference with an array of daily concerts, music festivals, art exhibitions, culinary events, eco-tours. Festivities will also include a tall ships parade, historical presentations and activities for children. For starters, part of the Charlottetown Waterfront will be transformed into a “celebration zone” with music, theater and food tastings. Spring and summer events include East Coast Music Week in April; Savour Food and Wine Show, May; Island Fusion and 1864 Week, June; Diverse City Festival, June and July; Big Red Music Festival, July 1; Art In the Open, August; 150 Sailing Challenge, Aug. 11 to 15; and Founders Week, Aug. 28 to Sept. 7. Other summer events include the Indian River Festival, the Tall Hat Chronicles and the Victoria Summer festival. Prince Edward Island also offers an array of annual festivals, which include the Watermark Theatre Summer Festival, the King’s Playhouse Festival, the Festival of Small Halls, the Charlottetown Festival, PEI Bluegrass & Oldtime Music Festival, the Cavendish Beach Music Festival, the Summerside Lobster Carnival, the Tyne Valley Oyster Festival and the PEI Jazz & Blues Festival. In September, the PEI Fall Flavours and PEI International Shellfish Festival will be tied in to the 150th anniversary. On Sept. 1, 1864, the meeting that led to Canadian Confederation took place in Prince Edward Island.